On a happier note, we enjoyed some amazing fresh seafood at Point Loma Seafoods at the marina. It was such a beautiful sunny day, my friend couldn't resist extending lunch a bit to treat all of us to a visit to the Ocean Beach Dog Beach. If you are ever in San Diego and you're desperate for a happiness fix, go there! All (people and dogs) were so blissed-out. Children ran around on the sand with patient pooches in their arms or at their heels--in some cases both--many of the human visitors brought their own packs. One guy came with about five white puppies in tow. The San Diego River dumps onto the beach in one spot, and a lot of the dogs enjoy swimming in that freshwater area. One particularly playful dog owner picked his corgi up and dunked him. The corgi took it in good fun, but my friend mentioned that her dog is already traumatized by her attempts to encourage her to swim at one year old. The trials of fur parenting! The Post Secret exhibit was amazing. It was worth it to me to go to the museum just to see that. I've been a fan of the Post Secret books and website for years, and it was so moving to walk through and see the stacks of postcards along with the ones on display. The exhibit also featured several ways to participate in Post Secret including a phone for leaving a secret in the voicemail box, supplies for decorating postcards on site and a secure physical mailbox to deposit them in, and boxes of postcards visitors could just pull out and stick on the wall to show what resonated with them. The Museum of Man included a few items and some information about the power of secrets and how secrets are shared, kept, or have been divulged unintentionally in cultures over time and space. One display case featured information about the closely guarded secret of how to make silk (until visitors smuggled silkworms home in their walking sticks) and the secret of red fabric dye. Holding those secrets gave people power. 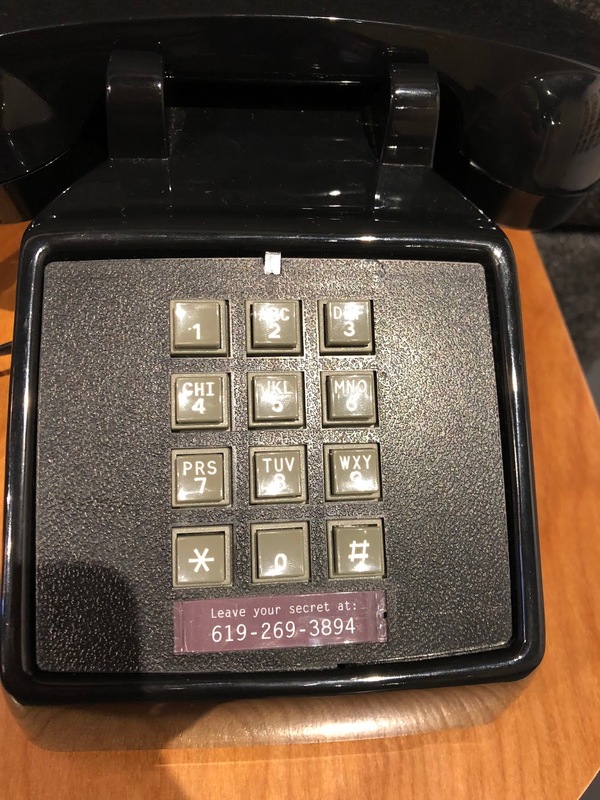 In the Post Secret exhibit, most people chose to share secrets because the secrets held power over them, and the museum had a few other objects from other cultures in a similar vein. I thought about adding one of my own secrets to the exhibit, but unlike the other people who found the courage to do it, I couldn't bring myself to share one even anonymously. Shame runs deep. The past year has been challenging and I know I've made a lot of decisions that have contributed to the snags I've encountered and continue to encounter. What comes up for me that I find so interesting in reading the "secrets" and experiencing my own reaction to all of this is how hypocritical I can be. While it wouldn't be accurate for me to say I don't believe in karma at all, I really don't believe that if you go through a year where you feel like you can't catch a break that it means you've done something to deserve it either. At least, I don't feel that way when it comes to people other than me. Of course, when it comes to me, if something goes wrong, I immediately assume it must be punishment for something. It's pretty ridiculous. Regardless of what you believe in, I'm pretty sure that no one, especially not a higher power of any kind, would be interested in keeping tabs on all of my stupid mistakes and cooking up proportionate reactions. Just no. We thought about having dinner in Balboa Park, but the restaurants we saw were crowded and pricey. I remembered the Gas Lamp Quarter having plenty of good places to choose from, so we headed there. I found a place called Werewolf on Zomato and decided it was a must-try for the name alone. Werewolf is located on 4th Street. The establishment refers to itself as a dive bar with good food. While Werewolf definitely leans toward a kitsch theme with its shiny golden wolf-head wall decorations and wall of beer bottle labels, it's definitely not a dive bar. It's a clean restaurant/bar with friendly and attentive staff, an amazing Korean/Mexican/American fusion pub food menu (yeah, that is the best way to describe it) and a decent craft beer list. We did not take advantage of their generous karaoke opportunities (five nights a week starting at 9 p.m.), but we did enjoy their generous happy hour specials. I split the pork belly nachos with my mom. In addition to that, I enjoyed one of their amazing sandwiches and she ordered a tasty Korean-inspired bowl. Unfortunately, I can't remember what it was called and their online menu hasn't been updated to show it. Anyway, if you ever find yourself at Werewolf: don't fear the Korean-inspired stuff. It's good. Siri is great for so many things and usually, we get along well when it comes to navigtion but we had a couple of hiccups today. Normally, when she says "no tolls," it's true, but this wasn't the case for a stretch of road called 73 toward Longbeach. toll roads in California are rare, but 73 is one of them. For spice, if you don't have a pass in your car, it's tricky because even though it's a toll road, it doesn't have any toll plazas; not even a ticket dispenser for entrances or exits. Now my mom is trying to figure out how to pay the toll online. 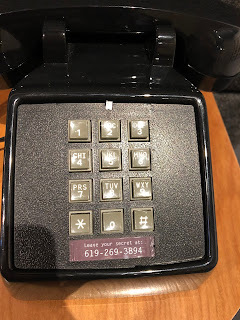 The La Quinta Inn in Costa Mesa is difficult to get to, we have about five outlets in the whole room, and the carpet looks like a science experiment. We'll see what the Roadway Inn is like tomorrow. Anyway, I am falling asleep, but I will update the post with pictures, etc. as soon as I can.